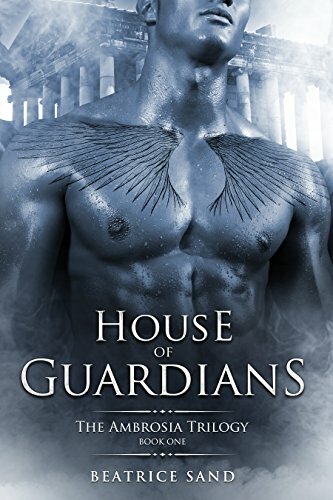 A compelling storyline, demigods, mystery, naked wrestling, a handsome hero and gorgeous heroine, romance, and suspense. All a girl needs! When 17-year-old Laurel Harper decides to go live with her estranged father and stepfamily, she's unaware of the fact that her fate was already sealed the day she was born. She is now exactly where some higher power wants her to be. But it's not until she meets the proud and mysterious Sam Laurens that she feels something strange is going on. Then Laurel finds out about Sam's ominous ancestry and a whole different fear arises. Fear of who Sam really is. Fear of her own feelings. And when she learns the dark truth about her own future, a sinister secret that will change everything as soon as she turns nineteen, she wants to run and hide, but soon realizes that there is no hiding from fate. Sam may be the only one who can help her escape her destiny, but then she has to start trusting him again, and time is of the essence because he has his own fate to deal with. Sam is determined to stop Laurel from meeting her doom, even if that means he has to make a drastic move that will separate them for good. Although some reviews speak of book 1 as a young adult novel, the trilogy is not intended as YA. Readers should know it contains violence, strong language, and graphic sexual content. Book 1 and 2 end on a cliffhanger.